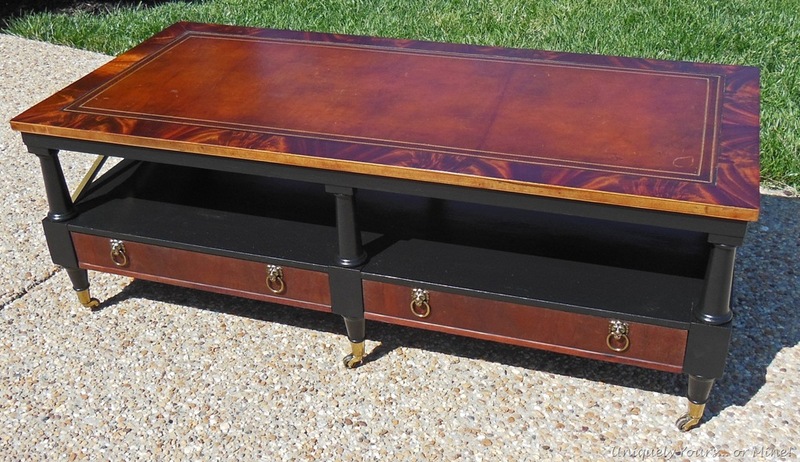 The Masculine Coffee Table – Uniquely Yours… or Mine! I hope you all had a wonderful weekend! I didn’t work very much, but enjoyed the nice weather instead… it was pretty awesome! 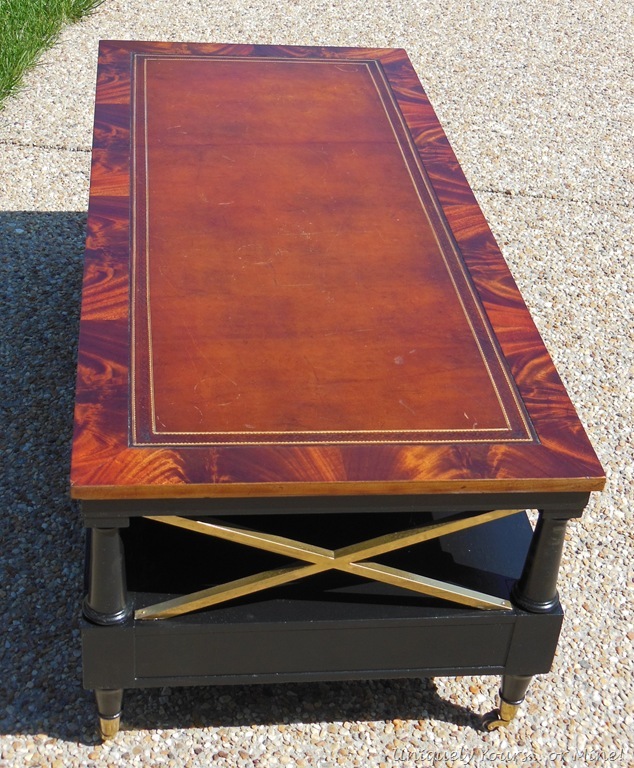 I did want to share with you this coffee table I just finished on Friday, it is in perfect structural shape, but it needed a little TLC. I “won” it at auction and almost got it for free! After I got it home I found a plastic bag of British coins in one of the drawers! I gave them to my youngest girls as they seem to have a love for everything British… so they were thrilled! WOW! Check it out now! I think it has a lot more years left to give! I primed and painted the base black using Valspar satin paint. 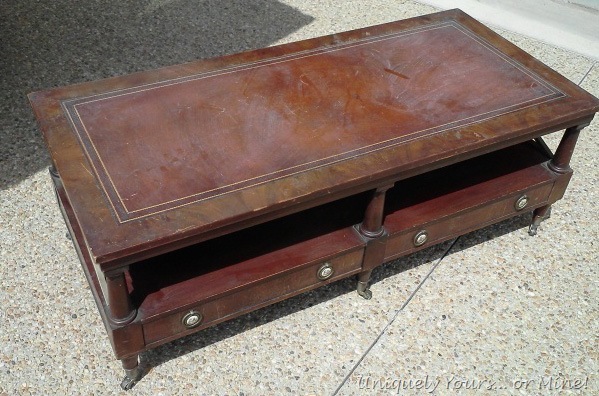 I chose not to remove or replace the leather top, while it is not in perfect condition it is in good condition and I just love the way it looks on this table. I sanded down the burled wood edging and stained it with Watco Dark Walnut stain… It was just to pretty to paint don’t you agree? 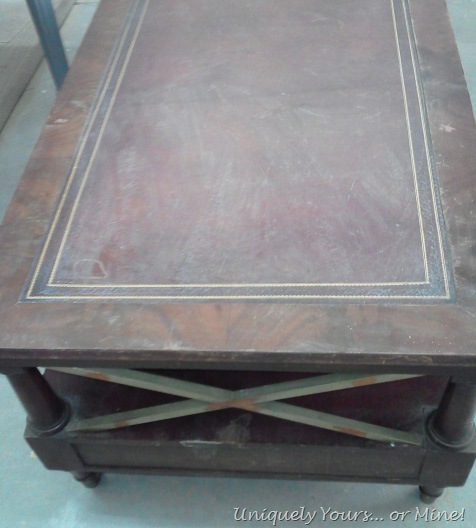 I sealed it with Annie Sloan clear wax after the stain had dried. After cleaning and priming the cross braces and wheel caps I sprayed them with Krylon gold paint… FABULOUS! I also sanded, stained and waxed the drawer fronts to match the top of the table. I replaced the Victorian looking pulls with these Lion’s Head pulls… which I think really helps the overall look of the table! 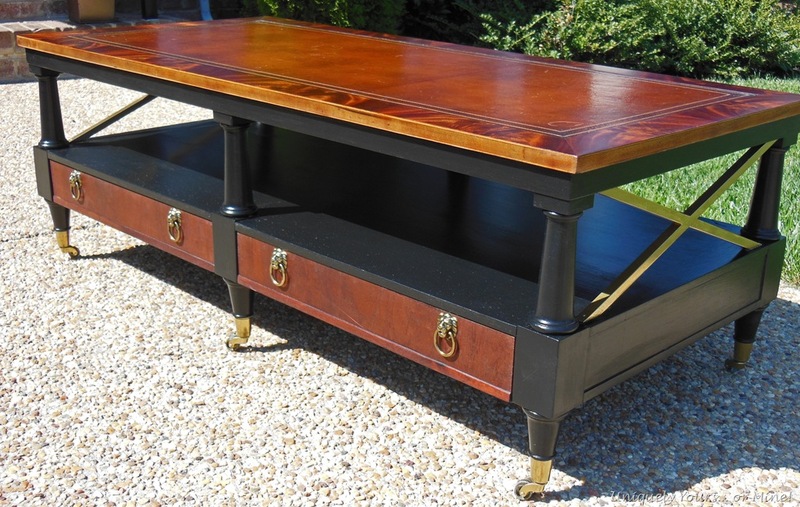 I hope someone else likes the table too… It’s heading up the road with me to Lucketts! As always thanks for stopping by… until next time! Beautiful job! Love how you maintained the integrity of the piece but not painting all of it. I love the look of the stain with the black. The gold accents are perfect! 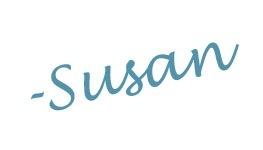 Thanks so much Susan! It is certainly darker than I usually do, but I just adore it! Wow is this one handsome piece…nice job would love it if you came by http://www.onemoretimeevents.com/2013/04/share-it-one-more-time-party-and.html and shared it. That is absolutely gorgeous! Very rich looking with the wood and leather. Love! Thanks so much Betsy! While the leather is not perfect I couldn’t bear to remove it as I think it looks so good with the overall look! Thanks Marty, it’s one of my favorite makeovers for sure! Hanks so much Denise! Most of my pieces are in such bad shape I can’t repair the finish, but I got lucky with this one! This is one of the best pieces I have seen from you. 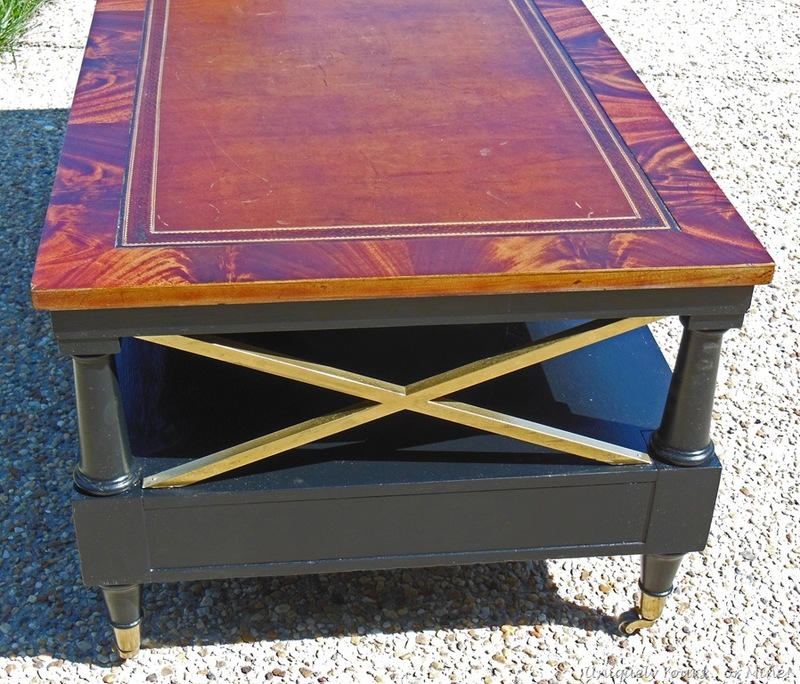 (My favorite is still the French Tea Table with Duck Egg Blue and gold-trimmed legs which I am soo sad you would not ship to California!) Anyway, just like people, each piece of furniture has its own personality. Happy to see that you listen to them. I have a beautiful silver tray that needs to be re-silvered. Cannot afford to do that right now. The tray corrals my perfume bottles and flower arrangements in my Masterbathroom. You have inspired me to try the Krylon Gold Paint. Gold will coordinate better wiith my decor. Thanks so much Charlotte! I do let each piece speak to me, sometimes it takes a while for me to hear them but I do let them speak! I hope you like the Krylon gold as much as I do… so pretty! That looks like it would fit perfectly in a Ralph Lauren designer room photo. Amazing! If you have time I’d love for you to share it at my brand new blog party! Thanks so much Rene! I checked out your party and linked up the table! Thank you so much for joining my party!! I was so excited to see that you linked up! !